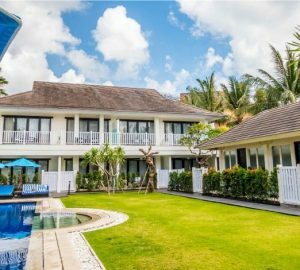 Montigo Resorts, Seminyak is located along Bali’s Jalan Petitenget, within a stone’s throw from the island’s best shops, art galleries, restaurants, and bars. The upscale resort caters to multi-generational travellers and features a variety of accommodation types to suit all needs. 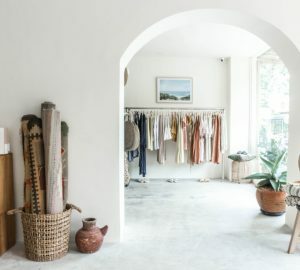 Its range of amenities includes three swimming pools, an international restaurant with poolside dining, the largest kid’s club in Seminyak spanning 300 square meters, a full-service spa, and a retail shop. 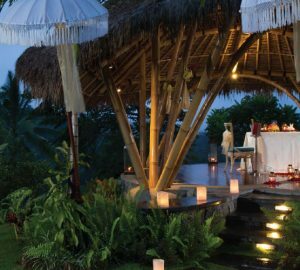 Situated along the South Western Coast of Bali island, Indonesia and just 30 minutes by car / 13 kilometers away from the island’s Denpasar Ngurah Rai International Airport, the resort is strategically located in Seminyak, Bali’s most cosmopolitan district. Its prime location not only connects guests to world-class dining, eclectic art galleries, exciting boutiques, and sensational nightlife, but also offers easy access to the lush nature and cultural sites that Bali has to offer, making Montigo Resorts, Seminyak the perfect base to start your Balinese island experience. Combining both tropical idyll and modern comforts, rooms, and suites at Montigo Resorts, Seminyak is designed to invoke a sense of place for international cosmopolitan guests. The resort offers 128 stylish, contemporary and expansive guest rooms and suites that are bathed in soothing colors to create a relaxing environment. From the thoughtful design details to furnishings and luxurious amenities, each tranquil oasis is a secluded hideaway from the hustle and bustle of Seminyak, and all rooms and suites are equipped with signature Montigo beds that are completed with the finest bed linens. Tilo Kids Club: Not forgetting our young VIPs, Tilo Kids Club is the largest kids club in Seminyak, spanning a whopping 300 square metres. It is an imaginative space specially created for kids to have endless amounts of fun. Led by a team of qualified mentors, the Tilo Kids Club provides artistic, educational and fun activities for children aged 4 to 12, injecting elements of music, exercise, Balinese arts & crafts and baking. Children below 4 years old will need to be accompanied by an adult guardian. In addition, Tilo Kids Club at Montigo Resorts, Seminyak houses a playroom which is equipped with a PS3 and Wii. Balinese Cooking Class: Start your day at the local market and pick out the day’s freshest, and steal some cooking tips on authentic Balinese cuisine from our head chef, who will introduce you to Indonesia’s plethora of local spices and walk you through preparing a three-course meal. Enjoy the fruits of your labour during lunch and be Montigo-certified! For the full list of activities, please see activity factsheet attached. With such a wide range of facilities and activities being offered by Montigo Resorts, Seminyak, guests of all ages are bound to be entertained and occupied throughout their stay at Bali. The resort, with its acute attention to detail, strives to provide differentiated and personalized services to its guests, to create the ultimate getaway for all generations.